Product prices and availability are accurate as of 2019-04-13 21:30:55 EDT and are subject to change. Any price and availability information displayed on http://www.amazon.com/ at the time of purchase will apply to the purchase of this product. Dark rust finish. Includes three 60 watt vintage-look Edison bulbs. 7 1/2" high. 18 1/2" wide. 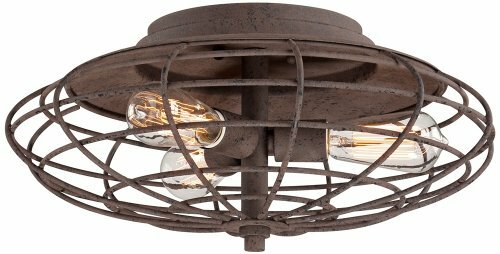 Industrial Cage ceiling light in a dark rust finish. Decorative Edison bulbs are included. 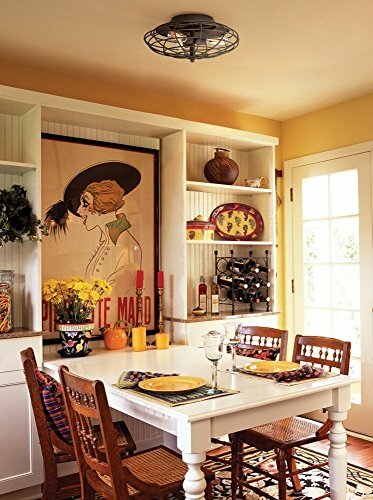 For hallways, kitchens and more, from the Franklin Iron Works brand. 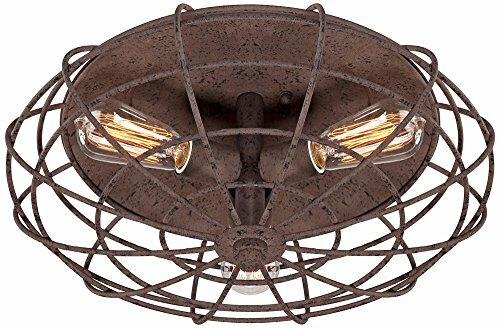 Includes three 60 watt, vintage-look, decorative Edison bulbs. 18 1/2" wide, 8 1/2" high.